Leathers are worn to protect you in the event things don't go as planned, they not only take the impact and save your skin, but every time your out on your motorcycle they are subjected to grit, bugs, road grime and everything else that comes your way. You can use water and strong detergents but that only goes so far, and the natural oils can and will be stripped, causing your leathers to dry out and crack far sooner. At Clean Ride we can revive and rejuvenate your dried out dirty leathers, using a range of products from Swissvax and Auto Glym, that are designed to not only clean and condition but to restore the natural oils back into the leather for a longer lasting shine. We can also re-dye your leather if you have damaged the surface, due to unfortunate events where you have fallen off, and we can normally get the finished and treated areas back within 95% of it's new state. So not only will they look good, but they will have a fresh lease on life, making sure they are able to do their job for longer and save you money in the long run. We can also colour match your leathers that have had a scrape or two, and protect worn seams with specialized products, contact us now to get a quote on your leathers! 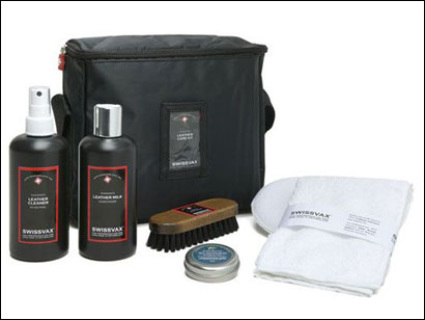 The Swissvax Leather Care Kit is a functional and sophisticated kit that includes everything required to thoroughly clean, refresh and protect your leather gear with ease. It may be used on all nappa leather and provides professional results in minimum time only. 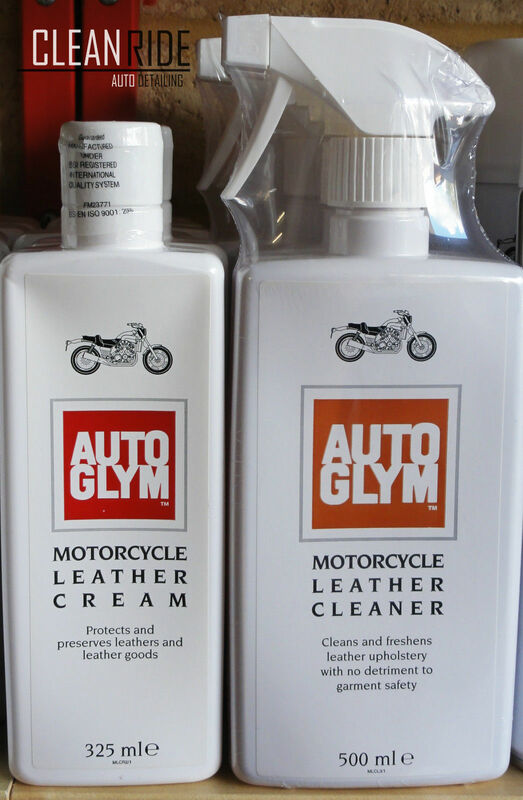 It allows the effortless, thorough but gentle cleaning of leather followed by the care with long term protection helping the leather to maintain its natural moisture and preventing damage from UV radiation, road grim and bugs. 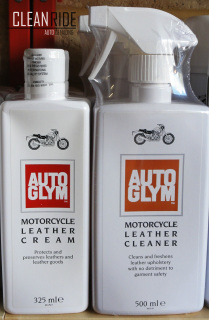 The Leather Care Kit comes in a handy bag and includes everything required for cleaning your Motorcycle leathers in most cases better than new condition! preparation of the leather for the application of the Swissvax Leather healer (Leather dye) and to seal and protect it afterwards.